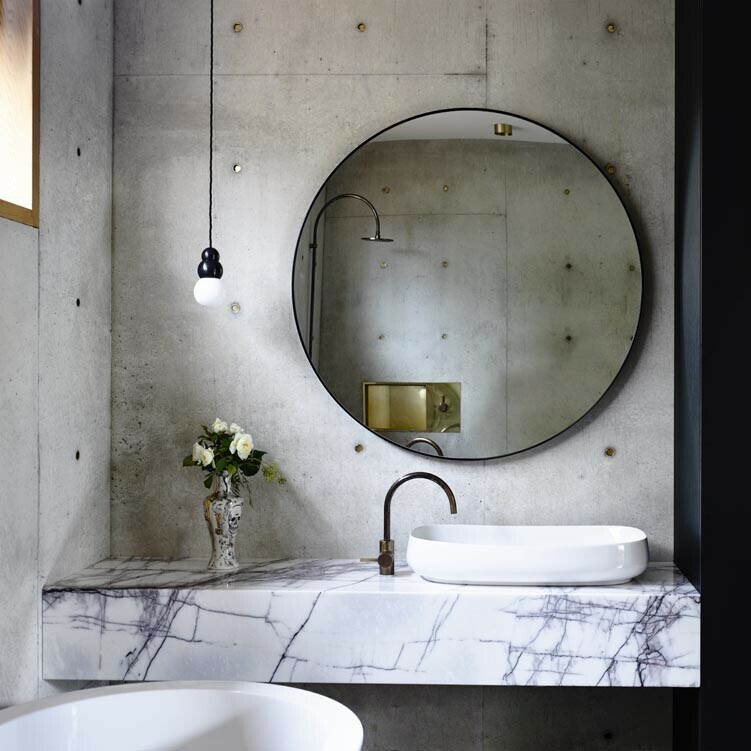 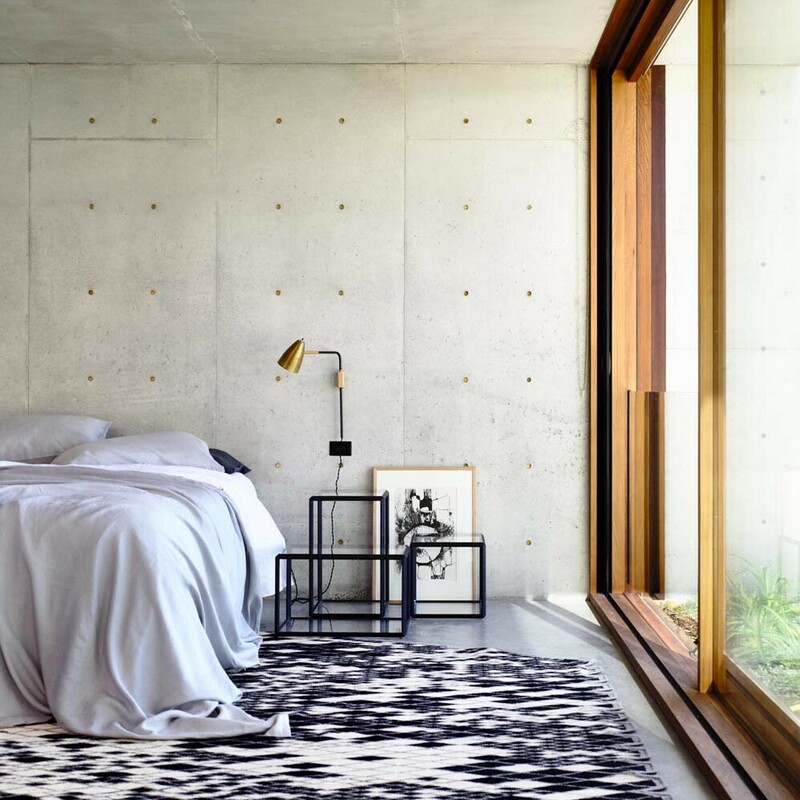 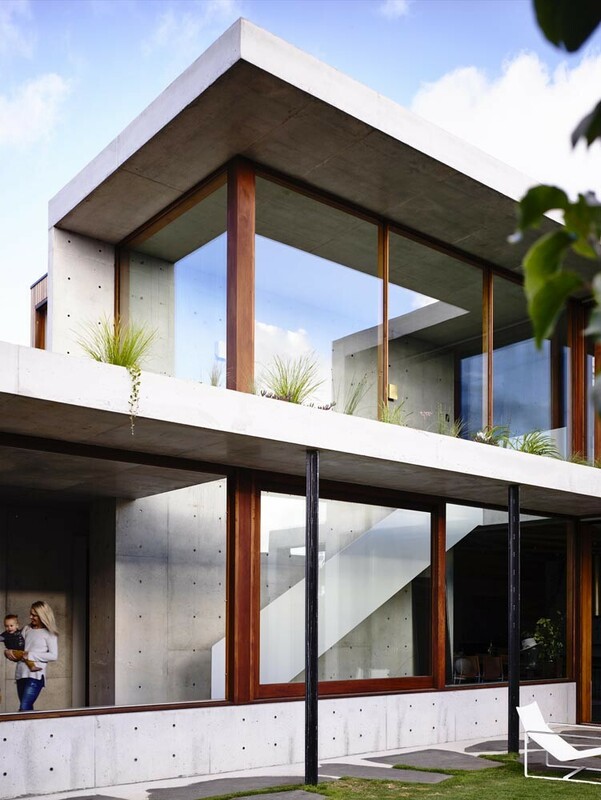 Torquay house is a gorgeous concrete house completed by Auhaus Architecture, an award winning design studio operating in Melbourne and the Bellarine Peninsula. 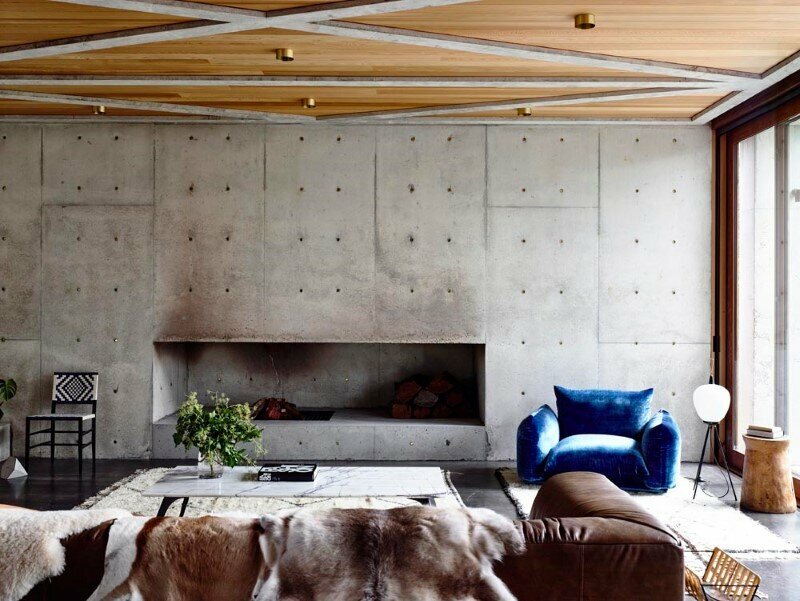 Description by Auhaus: Located on the Victorian Surf Coast, this insitu concrete house is composed of a series of planes. 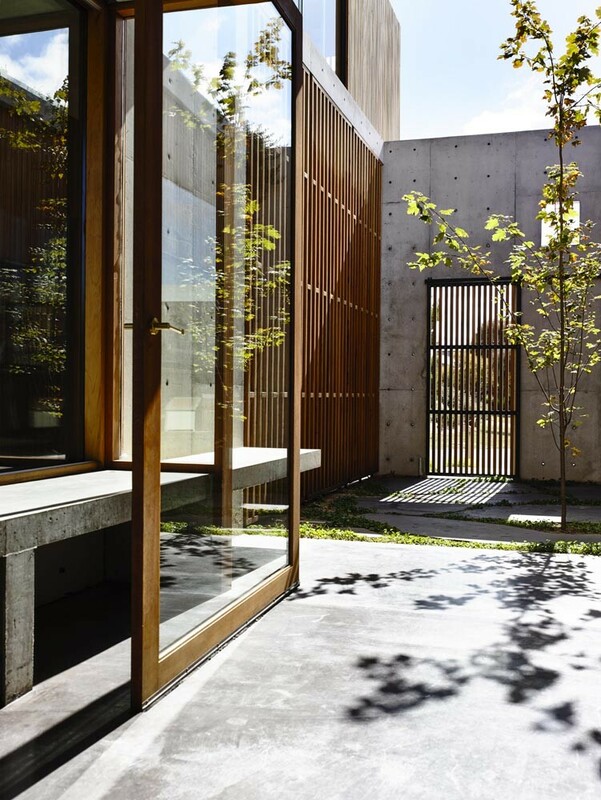 A portal opening in the concrete facade conceals a secluded entry courtyard leading to the front door. 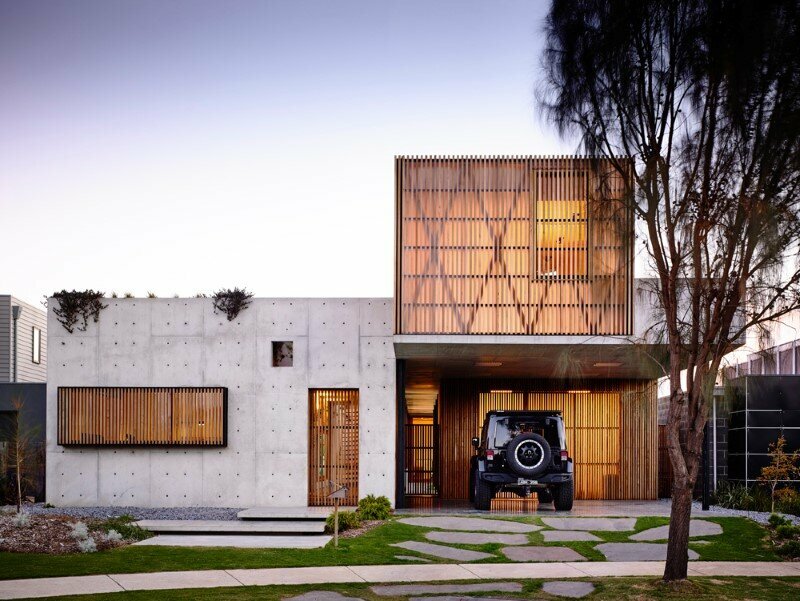 The plan wraps around a grassed north facing courtyard, giving privacy from the adjoining golf course and allowing light and breezes to move through the house. 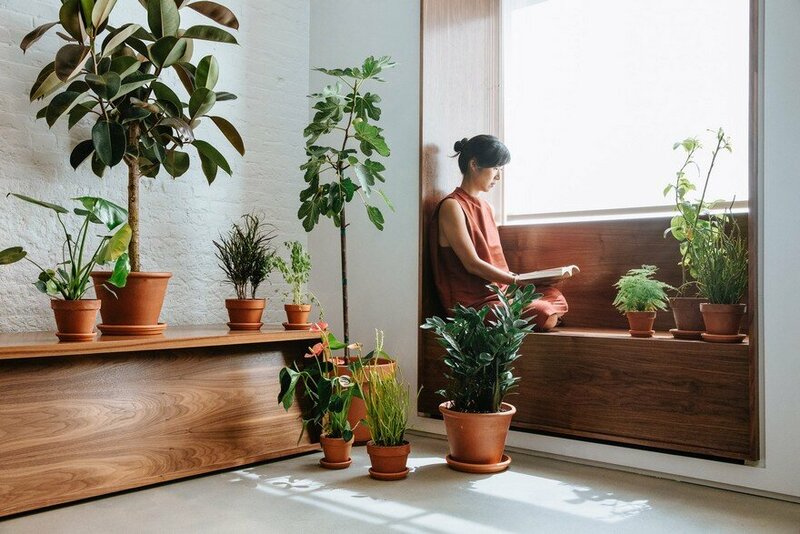 Roof gardens on the upper level are planted out with native grasses and groundcovers to provide a green aspect from all habitable rooms. 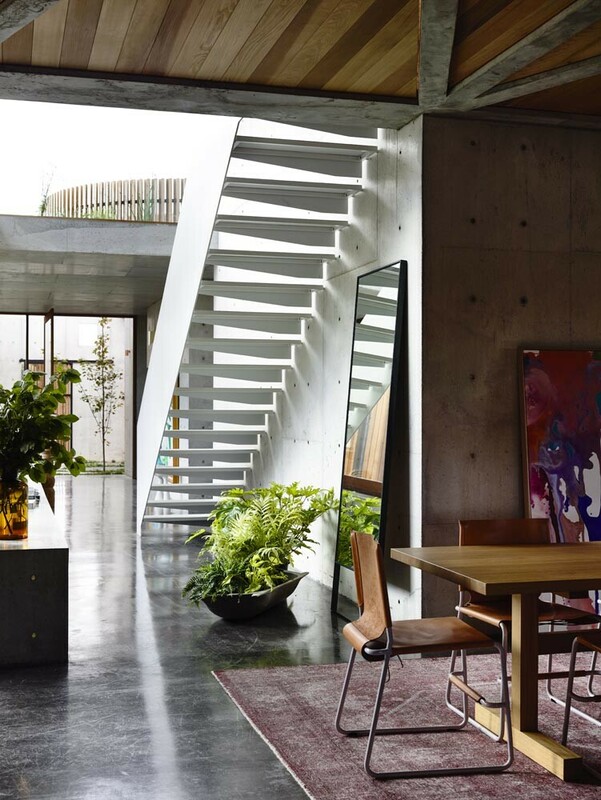 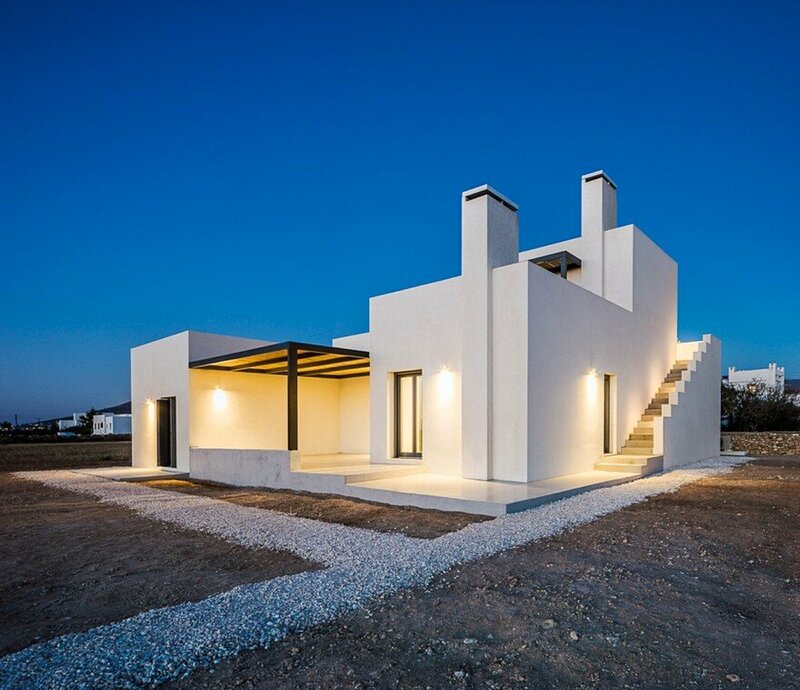 Each floor rests on slender columns, the fine lines counterpointing the natural mass of the concrete. 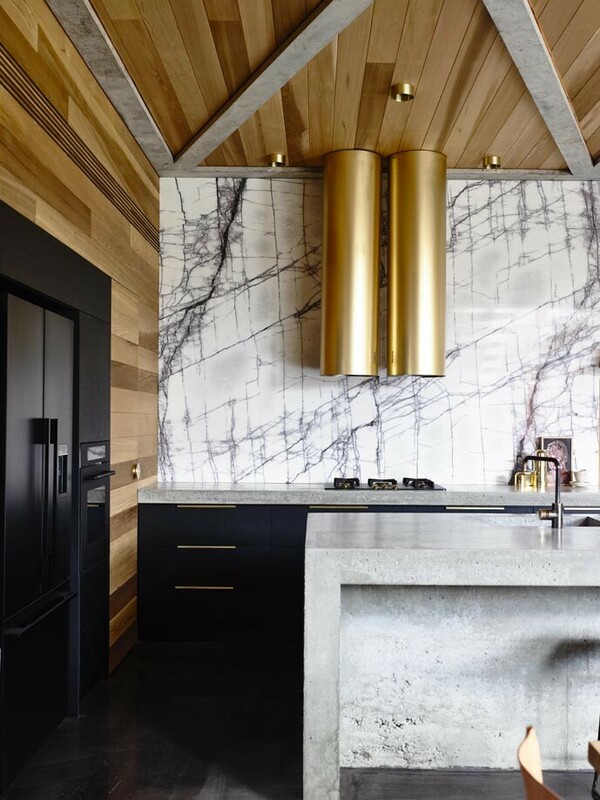 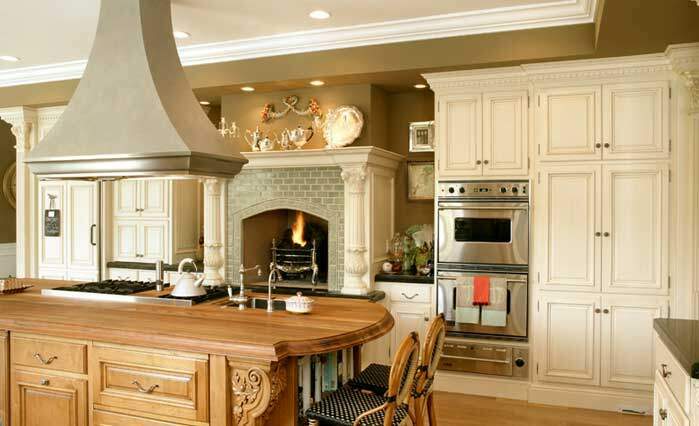 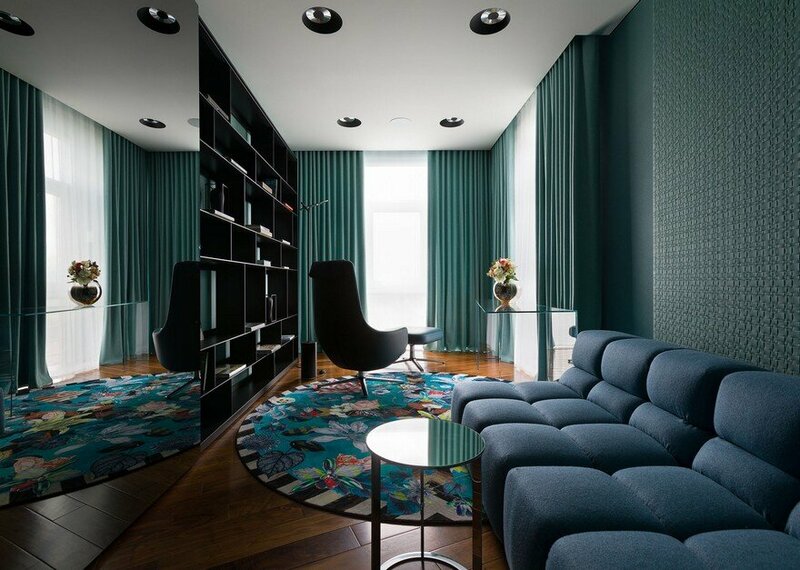 Hardwood battens and brass detailing throughout provide patterning and warmth.